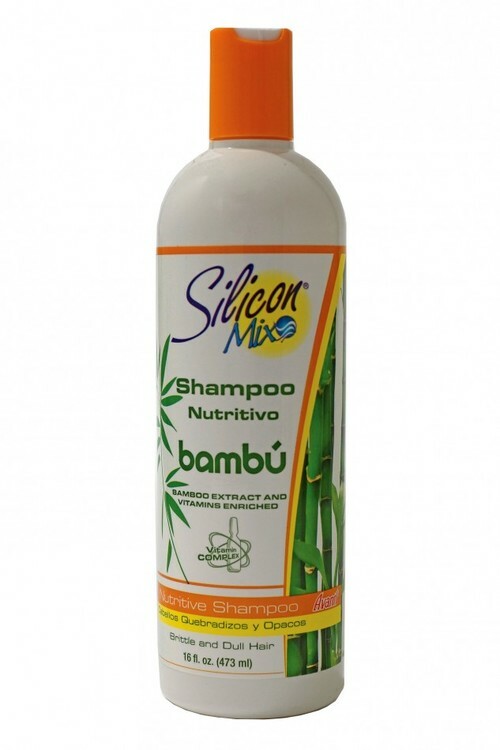 Silicon Mix Shampoo with Bambu Extract contains bamboo extract, a natural product to regenerate and nourish the hair and silicone to smooth and give shine. Vitamins A, E, F, H(Biotin), H Pro-Vitamin B5 (Panthenol), H8 (Inositol) and Horse Chestnut Extract to improve the health and beauty of the hair, helping it to grow longer. •Contains Bamboo Extract a natural product to regenerate and nourish the hair. •Special formula for brittle and dull hair. Apply to damp hair with massages and lather. Rinse throughly. Condition with Silicon Mix Bamboo Hair Treatment.